This ticket allows entrance to Les Ardentes the 4th, 5th, 6th and 7th July 2019. This ticket allows access to Les Ardentes, the 4th of July 2019. This ticket allows entrance to Les Ardentes, the 5th July 2019. This ticket allows entrance to Les Ardentes, the 6th July 2019. This ticket allows entrance to Les Ardentes, the 7th July 2019. Ideally located in the centre of Liège, this hotel is located just a few minutes from the historical and commercial centre of the city. Free WiFi is available in the entire building. The friendly team will be available 7 days a week to welcome you throughout the year. Close to the major routes to Paris, Brussels, Amsterdam and Cologne, the hotel is the ideal base for both business and leisure guests. During your free time, you can take a stroll to the Royal Opéra House of Wallonie and the historic heart of Liège as both are easily accessible. 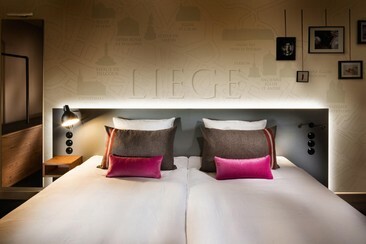 Conveniently located just off the A602/E25 Liege-Luxembourg motorway, the environmentally friendly Campanile Hotel & Restaurant Liège / Luik is a short drive from Liege Airport and Liege city centre. It features a garden with a terrace overlooking the city. All rooms offer modern comforts and amenities including a phone socket for your laptop and a TV with Canal+. Parking spaces are also available at the hotel. Campanile Hotel & Restaurant Liège / Luik is just over 7 km from Liege Airport and about 2 km from Liege’s thriving city centre. Liège-Guillemins Train Station, which offers national and international connections, is a 5-minute drive from the hotel. Hotel Le Cygne d'Argent is located in Liège. This unpretentious hotel lies 2 km from the archeology exhibits at the Curtius Museum. Just a 10-minute walk from Liege Jonfosse train station and a 12-minute walk from Liège Cathedral. A bus stops 100 m from the hotel and reaches Liège-Guillemins Train Station in 4 minutes. The Botanical Garden of Liège is 200 m from the hotel. 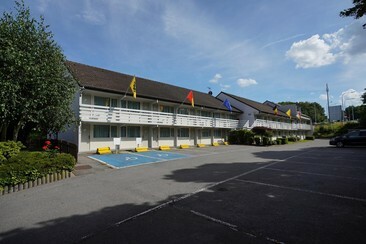 The 3-star hotel features an on-site restaurant serving regional cuisine. Breakfast is served every morning in the common breakfast room or in the guest rooms. Guests can enjoy Belgian specialties in the hotel's restaurant or in one of the many restaurants within a 10-minute walk. Free WiFi is available throughout the entire property. Located in the city centre of Liège next to the Opera House and an ideal location from the Palace of the Prince-Bishops and the longest Sunday market in Europe, this ibis is ideally situated within the picturesque streets of Liège. 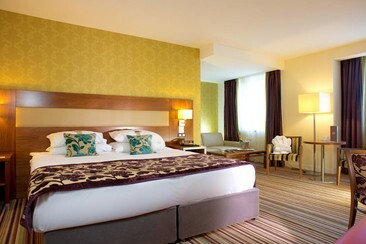 The property boasts 78 spacious guest rooms featuring new Sweet Bed by ibis bedding and free Wi-Fi access. Guests have access to the 24 hour bar open for drinks and snacks and there are restaurants, pubs and shops just situated around the corner from the hotel. This 4-star hotel is beautifully converted 17th century convent located in the historic city centre on the banks of the river La Meuse and is just a 15-minute walk from the central station and shopping area. 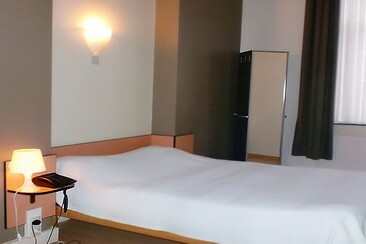 There are 149 elegant and classic guest rooms which include a free bottle of mineral water and free Wi-fi throughout. Guests can start their day with a buffet breakfast on the first floor or in the well equipped hotel gym. Weather permitting, the terrace offers a place to sit out and admire the very spacious courtyard garden. The hotel's restaurant is situated in the original, 17th-century wing of the building, which used to be where the monastery was located. The shopping districts and tourist attractions are reachable on foot or via public transport in 15 minutes. Liège-Guillemins Train Station is 3 miles away. 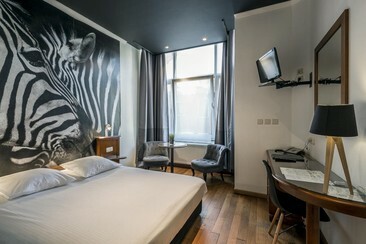 Situated in the city centre of Liège and the Ardent City, the pentahotel Liège is also conveniently located for the main motorways leading to Maastricht, Brussels, Paris and Koln. Free WiFi is provided. Located on the edge of the River Meuse, Liège has a central location, in the heart of the Eurégio. Here you can find countless bars, piano bars, night clubs and terraces. 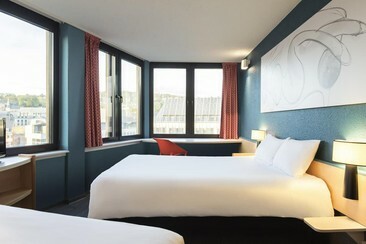 The hotel is right next to local attractions, such as the shopping area and the famous Carré, the vibrant centre of Liege. Guests can discover the many theatres, festivals, cafes and restaurants, as well as the Royal Opera, the Philharmonic Orchestra, the Liege Forum and the many museums. Les Ardentes is a multi-genre music festival in Liège, Belgium. Featuring a top tier lineup anchored in contemporary hip hop, the festival has grown into one of Europe's best. 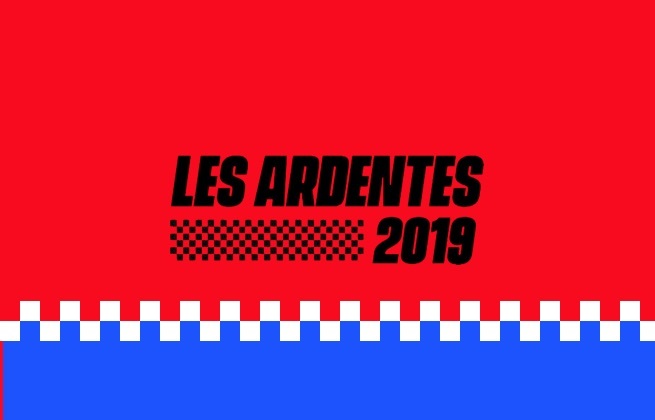 On four stages across four days, Les Ardentes weaves established superstars with the hottest acts making waves in both the English and French scenes. Taking place in Parc Astrid, the festival boasts a scenic setting in an urban environment. The festival takes place in a large public park on the banks of the Meuse, in the north of Liège.